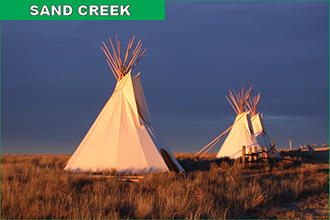 Keegan Donovan joined the staff at the Sand Creek Massacre National Historic Site (NHS) August 15, 2016, as an Interpretive Park Guide. Keegan brings to the park his love of history and story-telling and a passion for theatrical performance. Keegan graduated from Emory & Henry College in Virginia in 2009 with a double major in Public History and Theater. He first began working with the National Park Service in 2003, as a seasonal interpretive ranger at Harpers Ferry National Historic Park (NHP) in West Virginia. From Harpers Ferry NHP, he transferred to Booker T. Washington National Monument in Hardy, Virginia, and later to Jewel Cave National Monument in Custer, South Dakota. In 2011, Keegan transferred to Death Valley National Park, where he collected fees, assisted with search and rescue operations, and presented guided tours at Scotty's Castle. October 18, 2015, heavy rainfall at Death Valley created a major flood resulting in $20 million in damages to park infrastructure. The damages resulted in the closing of Scotty's Castle, so Keegan accepted a temporary position as a National Park Service Centennial Projects Coordinator at Capulin Volcano National Monument in New Mexico. This past August he joined the team at Sand Creek Massacre NHS. Keegan's career has taken him on an odyssey of park sites that commemorate the worst and celebrate the best of America's past - from the institution of slavery to the discovery of one of the most fascinating cave systems in the country. 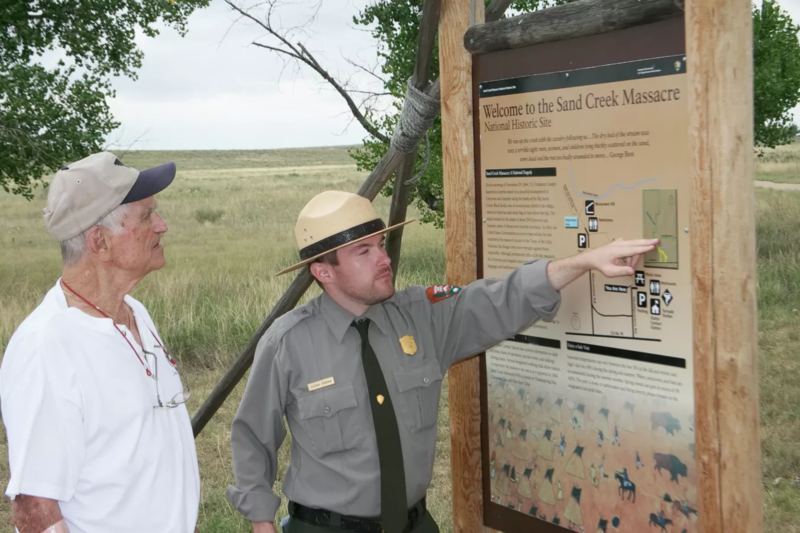 In addition to working at Sand Creek Massacre NHS, Keegan is currently working on a long-distance Master's Degree in Public Administration through Norwich University. Join us in welcoming Keegan as he settles into his newly adopted community of Eads.